IT’S THE RIGHT THING TO DO — After Constantine (Matt Ryan) breaks the cardinal Legend rule, you can’t change the past, he, along with Charlie (Maisie Richardson-Sellers) and Zari (Tala Ashe) try to deal with the ramifications without telling the rest of the Legends. Even though Zari encourages them to just fix the problem, Constantine and Charlie are determined to find another way, but only continue to make things worse. 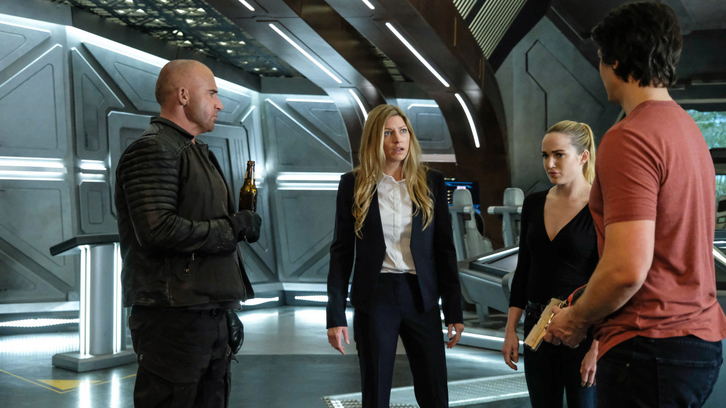 Caity Lotz, Brandon Routh, Dominic Purcell, Nick Zano, Ramona Young and Jes Macallan also star. Ben Bray directed the episode written by James Eagan & Ray Utarnachitt (#408). Original airdate 12/10/2018.